The field of nootropics continues to be one of the most exciting and fastest growing areas of scientific discovery. 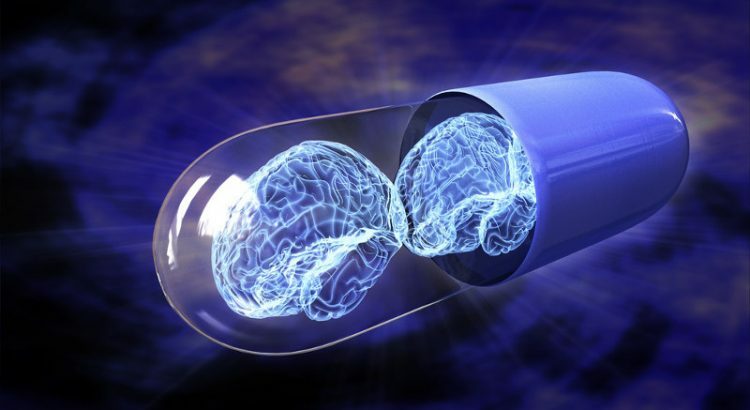 Here’s a look at some of the best nootropics of 2019. We believe that Mind Lab Pro is the best preformulated all-natural nootropic stack, designed for total brain optimization, that is currently available on the market. Mind Lab Pro contains 11 nootropics working via 6 bio-pathways to optimize a wide array of cognitive functions with the aim to improve memory, mental performance, mood, and overall brain health. The stack components include Lion’s Mane, citicoline, bacopa monnieri, L-theanine, and more, in a convenient capsule form. If you’re looking for the convenience of an effective “ready to go” preformulated stack that is designed by experts, look no further, Mind Lab Pro is our recommendation. Adrafinil is a nootropic that enhances mood and cognition as it promotes wakefulness. It is is a truly unique stimulant that temporarily banishes fatigue without creating hyperactivity. Originally developed as a sleep disorder treatment, its effectiveness as a stimulant and its proven nootropic benefits are making it increasingly popular with students, shift workers, and others who are interested in extending alertness while operating at peak cognitive performance. Unlike amphetamine, caffeine, and other traditional stimulants that work by increasing overall psychomotor activity, adrafinil targets specific areas of the brain to selectively increase the availability of several crucial brain chemicals. Adrafinil works more gradually, providing a “smoother” energy. Its effects wear off more gently than other stimulants, eliminating much of the “rush” and rebound “crash” typical of amphetamines. Adrafinil is metabolized in the liver and transformed to the active metabolite Modafinil, which modulates the brain’s neurotransmitters associated with alertness, arousal, and cognitive function. Decades of study have shown that adrafinil is safe, well-tolerated, and has a very minimal risk of addiction when taken in moderate doses over brief periods. Modafinil is now marketed as a separate drug and is only available by prescription in the US, Canada, and most other nations. Adrafinil remains unregulated and is sold without a prescription. If maximizing both your energy levels and your cognitive capabilities are important to you, adrafinil could be a nootropic worth considering. Caffeine and L-theanine are both common, familiar substances that each deliver a moderate cognitive boost on their own. But together, they boost energy and alertness while reducing anxiety and increasing tolerance to stress. Caffeine and L-theanine are both components of tea, and they’re undoubtedly the main reasons that tea tops the list of the world’s most popular beverages. When taken in the form of tea, the caffeine + L-theanine combo is a mild and pleasant pick-me-up, but when taken in higher doses in supplement form, it’s an effective brain-state modulator that improves energy, alertness, and mood while increasing feelings of calm well-being. Caffeine increases energy metabolism in the brain, increasing alertness but potentially causing anxiety and jitteriness. L-Theanine increases levels of GABA, a brain chemical that has a distinct calming and relaxing effect. Research has shown that the two substances taken in combination provide cognitive benefits that neither provides on its own. Dosages of this powerful combination generally start at 50 mg caffeine and 100 mg L-Theanine. These dosages may explains why simply drinking tea doesn’t deliver with the same impact as nootropic caffeine + L-theanine in supplement form. Consuming enough high-quality tea to get L-theanine in psychoactive amounts would be difficult. Fortunately, caffeine + L-theanine is available in premeasured capsules, delivering the right dosages in the right ratio. This combination is safe, effective, very well tolerated, and is considered as an excellent introduction to the effectiveness of nootropics. Lion’s Mane Mushroom (Hericium Erinaceus) is an edible mushroom used in Asian cuisine and as a traditional Chinese medicine for the treatment of a variety of ailments. Recent clinical trials suggest that the Lion’s Mane Mushroom extract has significant neuroprotective qualities, and is effective in the treatment of mild cognitive impairment. The considerable nootropic capabilities of Lion’s Mane have been largely linked to the discovery of its ability to promote Nerve Growth Factor (NGF) production, a protein that is crucial for the survival and function of nerve cells. Increased NGF in the brain may enhance cognition by reducing inflammation, encouraging neural growth, and improving overall brain health. Research shows that Lion’s Mane Mushroom reduces neurodegeneration and encourages neural regeneration, making it a valuable adjunct treatment in cases of nerve damage and raising the possibility of its viability as a treatment for neurogenerative ailments like Alzheimer’s and Parkinson’s diseases. Stimulating the production of Nerve Growth Factor are believed to encourage the spontaneous repair of damaged neurons. Lion’s Mane Mushroom is also thought to be a mood booster that is effective in the treatment of depression and anxiety. Though the exact mechanism of this action is not entirely understood, it is believed to be separate from the production of NGF. Lion’s Mane Mushroom extract is both affordable and widely available in a variety of formats, from pills to powders. If you’d like to enhance your mood and cognitive capabilities while protecting your brain, Lion’s Mane extract may be the nootropic for you. Coluracetam is a lesser-known member of the racetam family of nootropics. Racetams act largely by increasing the availability of the “learning neurotransmitter,” acetylcholine. It is a derivative of piracetam, but unlike other racetams that use up the brain’s supply of choline as they improve cognitive capabilities, coluracetam works more indirectly, mainly by increasing the amount of choline available for the brain to work with. Coluracetam has been shown to improve high-affinity choline uptake in the brain, effectively enhancing choline synthesis. A sufficiency of choline for conversion to acetylcholine is essential to cognition, and animal studies have shown that a single dose of coluracetam improved learning impairment in brains that were exposed to neurotoxins. While research on coluracetam is ongoing, it shows tremendous promise as a long-term cognitive enhancer, with potential as a treatment for depressive disorder, neurodegenerative diseases, and even as a brain health protectant. At present, its nootropic capabilities are largely undocumented by research, but many users report improved cognitive abilities, including memory and learning capacity. There are also anecdotal reports that coluracetam brightens mood, reduces anxiety, and promotes feelings of calmness. Coluracetam is a relatively new discovery and much remains to be learned about its effects and mechanisms of action. However, it is generally considered to be safe and well-tolerated when taken in moderate dosages. If you’re looking for something new and exotic to add to your nootropic regimen, coluracetam could be just what’s needed to give your stack the boost you’re looking for.